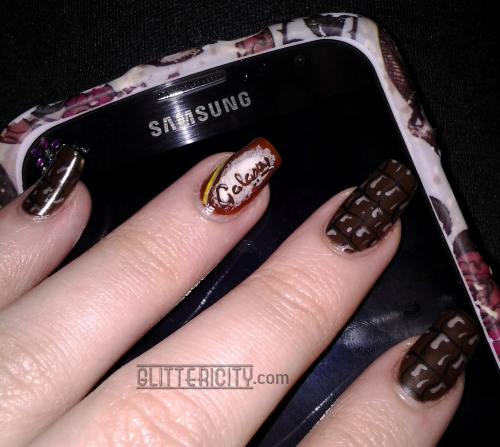 I used mostly OPI polishes for this look--the chocolatey base (and the word "Galaxy") is Suzi Loves Cowboys, and the warm mahogany brown for the wrapper/accent nail is the same polish mixed with a little of A Roll In The Hague, a nice rich orange. 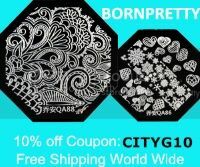 The gradiated centre on the wrapper, is My Vampire Is Buff, and the shiny bits on the chocolate is the same mixed with a bit of Suzi Loves Cowboys. (Follow all that?? Haha.) The only colour I didn't have an OPI for is the yellow bit, so I used Zoya Darcy for that. 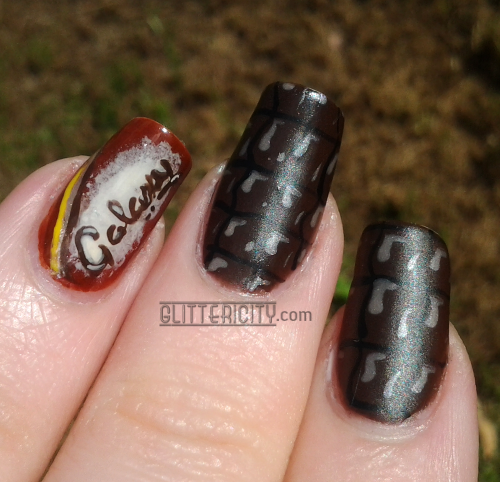 The black for the separation between chocolate squares is acrylic paint. 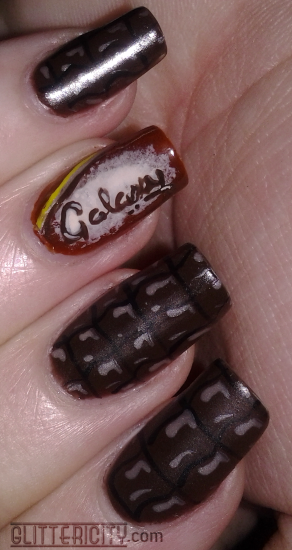 And finally, KBShimmer Clearly On Top over the accent nail, and NYC Matte Me Crazy topcoat on the chocolates. It's more of a wax-finish than a true matte, which I felt looked most like the candy. 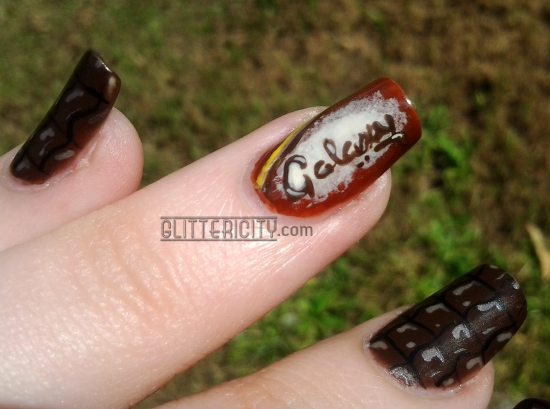 Galaxy nails on a Galaxy phone? Mind. Blown.